What if we told you it could save you a whole lot on your energy bill? 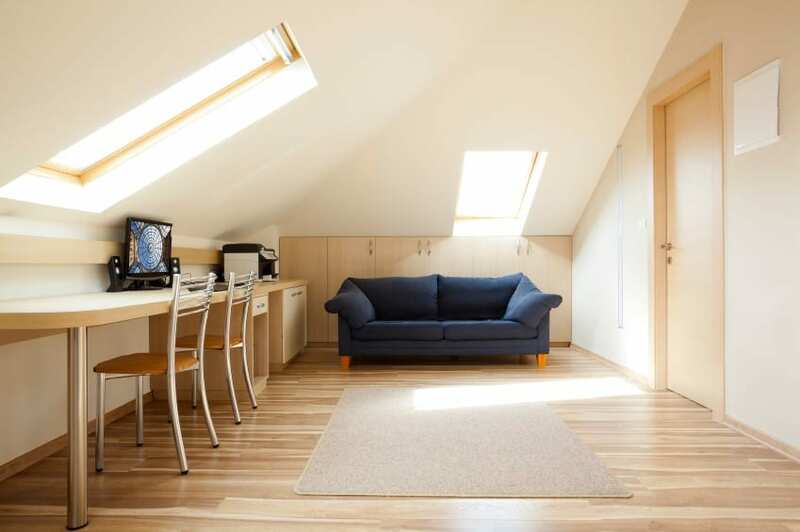 Keeping your attic well-ventilated helps maintain a comfortable temperature and ambience in this part of your home. Moreover, proper ventilation aids in cutting down energy costs since cooling expenses are minimized as your home does not get too hot or humid during summer. What’s more, if you know how to improve attic ventilation, this can reduce instances of ice dams that are common issues during frigid months. By having your attic ventilated, this can make shingles more durable and last for longer years since rot and mildew are prevented as moisture no longer gets in. It is only a matter of performing the right techniques and using the right materials necessary in making the attic properly ventilated. While you may initially think that attic ventilation is expensive, there are several benefits you can expect from this process. Primarily, mildew growth and infestation can be prevented as moisture buildup is eliminated. The sheathing and framing of your roof are delicate areas in the attic, and without protection from moisture, these spots can rot over time. Ice dams are also avoided, which are common during winter. Your roof remains cooler, and this helps cut down the expenses on cooling your home during warmer months. Shingles are also kept sturdier and in better quality longeras the roof stays cooler in summer. After all, ventilation is one of the requirements of manufacturers when it comes to shingle warranty. To put it simply, the entire process of enhancing attic ventilation does not need to be an expensive and tough task, even if you are not a professional. Although it may help to consult experts and learn more about safety tips on climbing up the roof to prevent accidents, novices in attic ventilation can also get the job done. One tip is to add some air chutes in each of the rafter space that will clear the path of air between the roof sheathing and the rafters. Secure chutes in place by stapling them, and there may be a need to set up a wind wash barrier made of plastic or wood that will close any gaps to prevent the entry of wind into your attic. Installation may come with some minor discomfort such as itching, so it is best to keep yourself protected by sprinkling a good amount of talcum powder on your neck, arms and face. Keep in mind that it is only practical that you start the process by checking and inspecting the attic for problems needed to be addressed. Ice buildup is one typical issue, and this can affect the edges of your roof. What you need for this problem is to increase attic ventilation as it will prevent ice dams while ensuring the cool temperature in the roof. The same holds true with moisture buildup, and you should inspect if your existing attic ventilation system is in excellent condition. Otherwise, adding soffit vents may be required, which can prevent these problems.